Jazz is Pakistan’s largest digital telecommunication company. Serving over 55 million subscribers across the country. 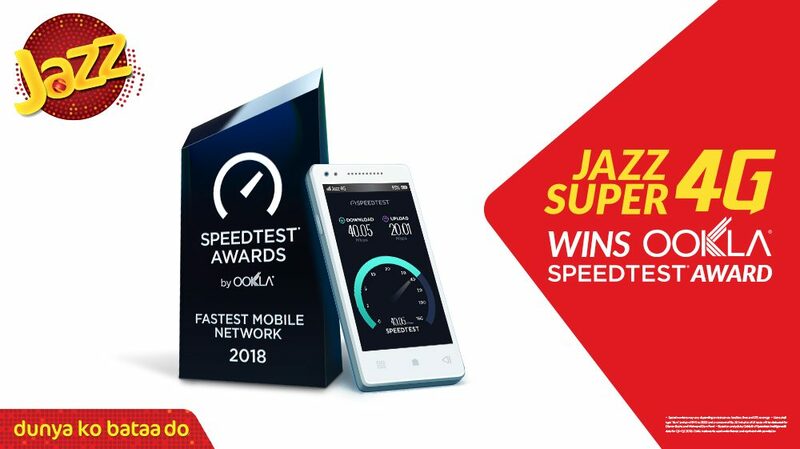 Ookla, the company behind Speedtest®, is the global leader in fixed broadband and mobile network testing applications, data and analysis. Over ten million tests are actively initiated by consumers each day across all Speedtest platforms, with over 20 billion completed to date. As a result, Ookla has the most comprehensive analytics on worldwide internet performance and accessibility. Ookla solutions have been adopted by a significant number of internet service providers and mobile carriers worldwide and have been translated into over 30 languages for use by thousands of businesses, governments, universities and trade organizations. Ookla’s headquarters are located in Seattle, WA with additional offices in Dublin, Ireland. Learn more at www.ookla.com.